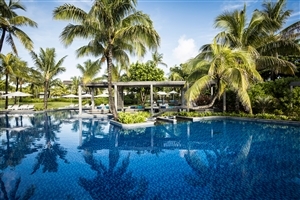 Nestled on one of Mauritius’s longest, widest and most beautiful white sand beaches, the appropriately titled Long Beach complements its stunning location with exceptional facilities and breathtaking contemporary design. 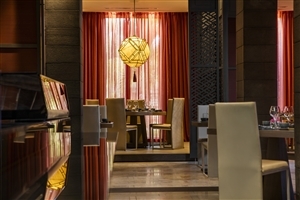 With its modern touches, beautiful gardens and airy ambience, Long Beach is the ideal place to come and relax in elegant surroundings, feast on exquisite gourmet cuisine and lavish yourself with luxurious amenities, such as the Cinq Mondes Spa. 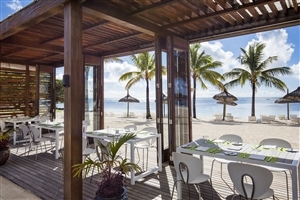 Perfect for families and couples alike, Long Beach’s facilities encourage 'active relaxation' on your Mauritius holiday, with opportunities to play tennis, use the fitness centre, go swimming and cycling. 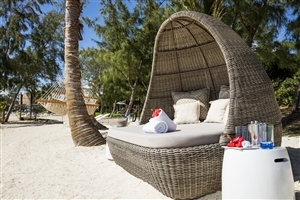 Long beach brings carefree piazza-style living to the longest and widest stretch of white-sand coastline of any Mauritian resort. 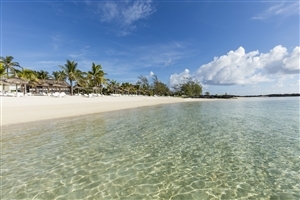 Beyond the beach, the tropical lagoon with its crystal clear blue waters and rare coral formations is a snorkelling paradise. The focus of the resort’s layout and its life is the urban-style piazza with restaurants, shops and bars. 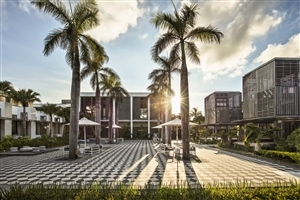 Architecture brings tropical interpretations to contemporary urban themes. 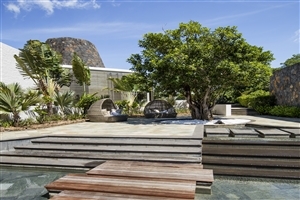 The Junior Suite at Long Beach offers 60sqm of accommodation space designed with tropical elements and located in an elevated location. 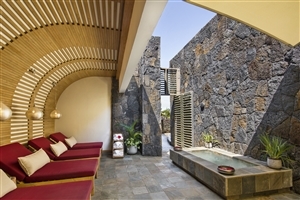 The suite features a private terrace, faces the sea and looks out over the gardens. 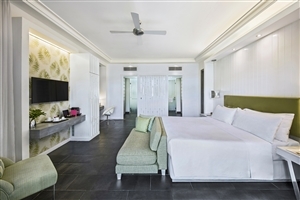 The Junior Suite Pool Access at Long Beach offers 65sqm of accommodation space designed with tropical elements and modern conveniences throughout. The suite features a private terrace, provides direct garden access as well as easy pool and hotel plazza access. The Junior Suite Sea View at Long Beach offers 60sqm of accommodation space adorned in exotic tones and located on the upper floors. 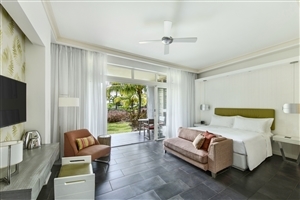 The suite features a private terrace that looks out over a gorgeous lagoon. 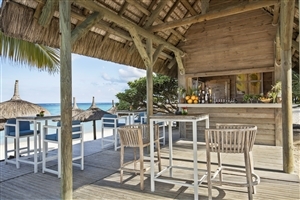 The Junior Suite Beach Access at Long Beach offers 65sqm of accommodation space elegantly designed with tropical aspects and located on the ground floor in a bungalow style. 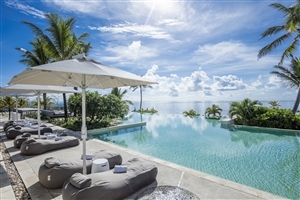 The suite features a private terrace and provides direct beach and garden access. 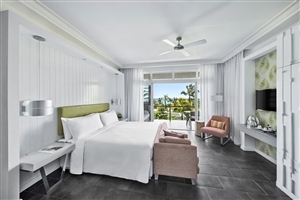 The Junior Suite Ocean Front at Long Beach offers 65sqm of accommodation space that brings a sense of comfort and style to this exotic paradise. 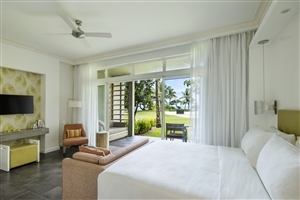 The suite features a private terrace or balcony and provides direct beach access. The Family Suite at Long Beach offers 85sqm of accommodation space designed to entice family adventurers with its generous amounts of space and tropical flair. The suite features a private terrace or balcony and comes with separate areas for kids. 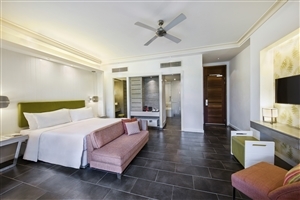 The Long Beach Executive Suite at Long Beach offers 135sqm of accommodation space that represents the ultimate in luxury at the resort. The suite features a spacious living area, a private terrace that provides direct beach access and bulter service on request.